Click info button at top for project summary. 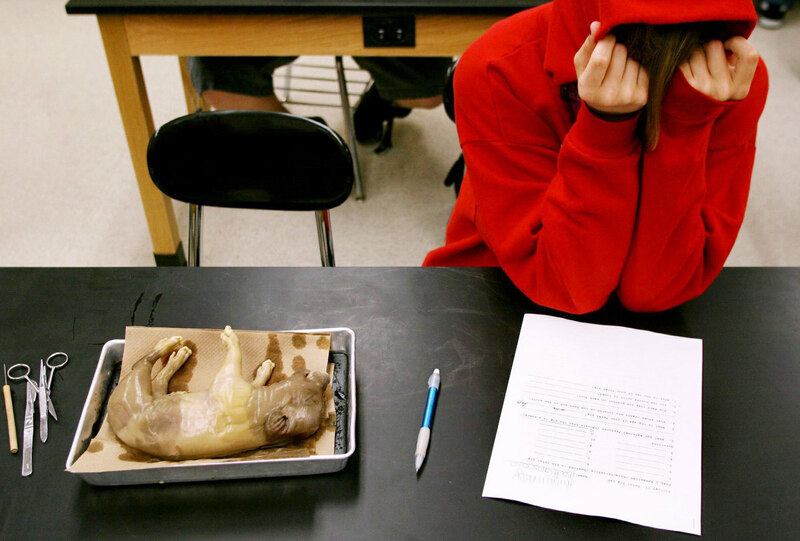 Hannah Kelly, a junior at Collinsville High School, buries her head in her hands before attempting to dissect a fetal pig in biology class. Kelly eventually opted out of the assignment and was given a written assignment in lieu of the cutting.